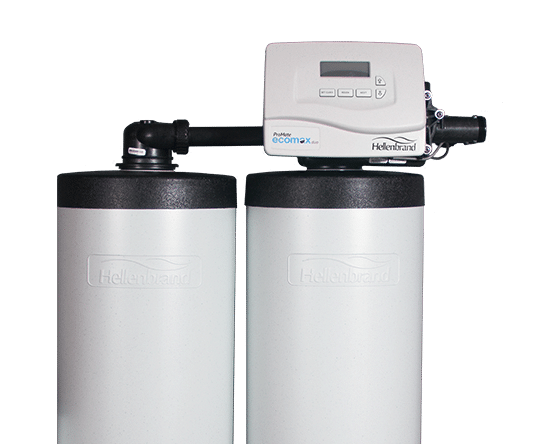 Hellenbrand whole home systems, like water softeners, are built to treat all your water as it enters your home and are installed after the water meter for city water or after the pressurized storage tank for well water. Point of use systems, like the Hellenbrand Always Fresh Drinking Water Filtration System, treat water at the point of consumption such as your kitchen sink or bathroom sink. We’re here to help with your problem water. To get up to speed on the different types of filtration systems see below. Or get in touch with your local water expert to find out what system will work best with your home and water. Hard water takes a huge toll on your home, leaving behind deposits of minerals like calcium, magnesium and carbonate that clog up your appliances, create spotty dishes and stains, make your skin dry and your clothes dull and scratchy. But with a single or twin tank home water softening system, you can reduce the effect these minerals have on you, your home and your water-based appliances. For some families single tank softening systems like the Hellenbrand EcoMax are the perfect solution. They use one brine tank and one resin tank to substitute salt for hard minerals found in your water, like calcium. Meant for larger volume households, a twin tank softening system like the Hellenbrand ProMate EcoMax Duo contains one brine tank and two resin tanks that seamlessly regenerate to supply softened water continuously to your home, all while saving water and salt. With a twin tank you never have to worry about hard water ever entering your home, even if you have high water usage. Make sure your drinking water is as clean as can be with a home drinking water system. In order to address the specific taste and quality issues of your water, it’s best to start with a free water test so you can find out exactly what’s in your water and which filtration system will best remove unwanted contaminants. 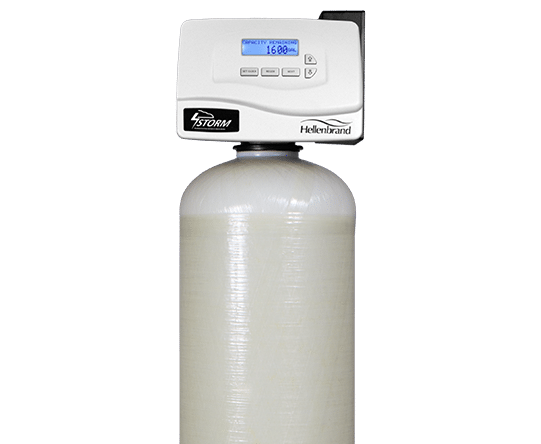 If your water tastes bad or looks foggy, a carbon water filter like the Hellenbrand Always Fresh Drinking Water Filtration System could be the best solution. Simply installed under your sink, it removes unpleasant chlorine taste and odor from your water and filters out things like lead and bacteria. 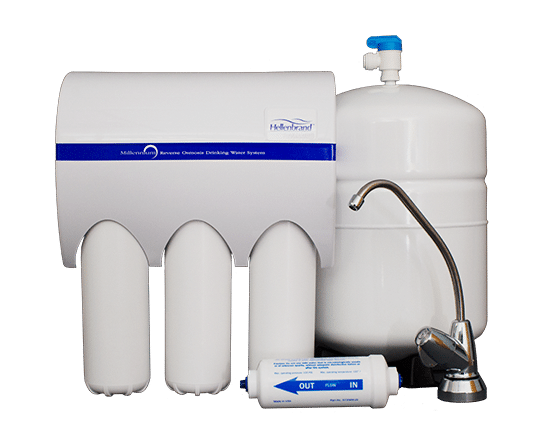 If you’re looking for superior filtration to remove inorganic materials, like nitrates, arsenic or lead, a Hellenbrand Millennium Reverse Osmosis system will do the trick. It connects directly to your plumbing and uses four stages of enhanced filtration, to filter out up to 99% of the contaminants that standard filtration can leave behind. UV filtration systems like the Hellenbrand UVMax use germicidal ultraviolet light, or UV-C light, to disinfect water as it comes into your home—penetrating microorganisms and rendering them harmless by inhibiting their ability to reproduce. UV filtration systems destroy a minimum of 99.9% of microcontaminants including E.coli and cysts. Hellenbrand has several iron filtration options that reduce the amount of microcontaminants in your tap and help eliminate the effect iron has on your home. Like the patented Iron Curtain 2.0, which dissolves minerals such as iron, manganese and sulfur and filters them through a two-tank system. Or the Hellenbrand ProMate 6 Storm, which uses Ozone and enhanced filtration to precipitate out iron, manganese and sulfur while also reducing bacteria and eliminating rotten egg odor. Have questions about water and your home? We’d love to answer them. Just give us a few details and your local Hellenbrand water pro will be in touch soon.